Mark A. Mathews fostered relationships with the business and civic communities and guided the university as it doubled its annual budget, increased enrollment, approved a new master plan, added several facilities and expanded its graduate programs. 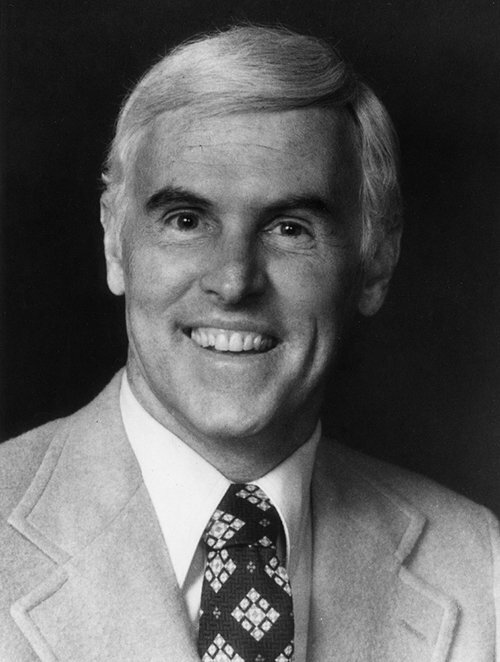 (SANTA BARBARA, Calif. – Oct. 31, 2018) Former California Lutheran University President Mark A. Mathews died Saturday in Santa Barbara at the age of 92. Mathews was chair of the Business Administration and Economics Department when he was first asked to serve as acting president in 1971. He declined. When the acting president asked Mathews again in 1972 and told him he would recommend the college shut down if he did not accept, Mathews acquiesced. Five months later, the Board of Regents appointed him Cal Lutheran’s third president. Over the next eight years, Mathews used his business savvy to strengthen the university’s financial position. He fostered relationships with the business and civic communities and guided the university as it doubled its annual budget, increased enrollment, approved a new master plan, added several facilities and expanded its graduate programs. He advocated participatory management, and the student body president became a voting member of the Board of Regents during his tenure. Mathews, who earned a doctorate in business administration from University of Southern California, began teaching at Cal Lutheran in 1970. He organized a classroom seminar that year that became the Mathews Leadership Forum, an annual event that continues to connect students with business and civic leaders. Keynote speakers have included former UCLA basketball coach John Wooden, Kinkos founder Paul J. Orfalea and Cal Lutheran alumni including Urbane Cafe founder Tom Holt. Longing to return to the classroom, Mathews resigned from the presidency and taught business until he retired in 1990. He called those years of teaching the most fulfilling of his life. He received Cal Lutheran’s Honorary Alumni Award in 1992. The Conejo Valley Chamber of Commerce named Mathews “Man of the Year” in 1985 in recognition of his service to many community organizations including Habitat for Humanity, the Conejo Future Foundation and Hospice of the Conejo. Mathews and his wife of 72 years, Jean, moved from Westlake Village to Santa Barbara in retirement. He is survived by Jean, daughters Marilyn and Pam, son Mark Jr., 10 grandchildren and 11 great-grandchildren. His daughter Linda preceded him in death. Per Mathews’ wishes, there will not be a memorial service. In lieu of flowers, his family requests donations to the newly announced Steven D. Dorfman Center for Cal Lutheran’s School of Management or Habitat for Humanity of Ventura County.